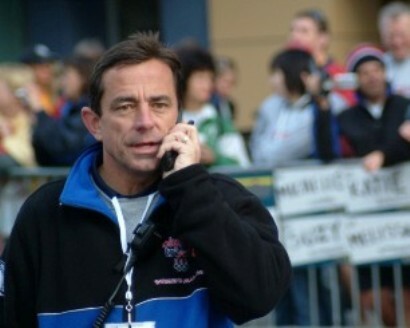 BOSTON (April 1, 2014) – Dave McGillivray of DMSE Sports, the renowned race director of the B.A.A. 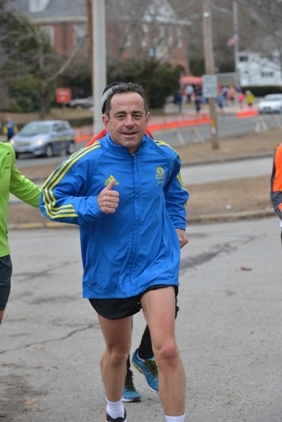 Boston Marathon, has a busy spring and summer planned. Later this month, he will run his 42nd Boston Marathon run – after everyone has crossed the finish line on April 21 and his work is done – to benefit the Martin W. Richard Charitable Foundation, which was formed by the parents of the 8-year-old boy killed at the Boston Marathon bombings last year. To donate, go to this link set up for McGillivray’s run. Also, in late April, he will serve as keynote speaker at the Third Annual All-Star Awards Luncheon of the NSGA (National Sporting Goods Association) Annual Conference in Palm Springs, California. "McGillivray is unique in that he is both an accomplished athlete and businessman. He knows what it takes to complete an endurance event and also the painstaking detail and management that go into a successfully run event, from a 40,000-person marathon to a 500-person charity walk," the NSGA Program says. 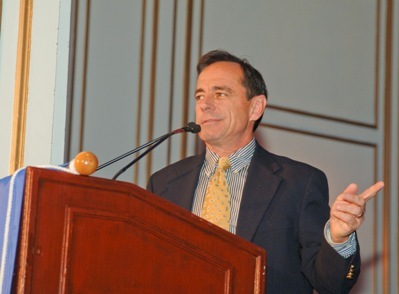 A motivational speaker, McGillivray also will be the commencement speaker at Newbury College in Brookline, Mass. on Sunday, May 11, and at Tabor Academy in Marion, Mass. on May 27. He also plans to run 60 miles as part of his annual birthday run in August – something he has done since age 12 when he discovered running was his passion. This year he’ll have to fit it in around DMSE’s management of two of the country’s most iconic road races – the TD Beach to Beacon 10K on Aug. 2 and the New Balance Falmouth Road Race on Aug. 18. McGillivray turns 60 on Aug. 22. “It may seem a little over the top to do these long runs year after year, especially at my advancing age, but it’s a tradition and I’m still excited about the challenge as I was 40-years ago,” he said. McGillivray, who lives in North Andover, Mass., has spent much of his life on the run. The Medford, Mass. native gained national prominence with his 1978 cross country run that took 80 days and raised almost $150,000 for the Jimmy Fund – the first money any runner ever raised for a cancer charity, according to Runner’s World. He has completed a number of similar feats of endurance since his groundbreaking cross country trek, including a second cross-country run in 2004 from San Francisco to Boston as part of TREK USA, a relay team event that raised more than $300,000 for five children’s charities. He has now logged more than 150,000 miles, eight Hawaii Ironman Triathlons and finished 130 marathons – including 41 (soon to be 42) consecutive Boston Marathons. McGillivray is a pioneer in what is now one of the most important aspects of the endurance sports industry – combining athletics with philanthropy. Nearly every DMSE event combines fitness and fundraising, giving back to the Jimmy Fund and Dana-Farber Cancer Institute, Children’s Hospital, Lazarus House and many others charities and non-profit organizations in New England and across the country. He along with all the events he has directed have helped raised $100 million for charity over the years. After a medical scare last fall, when McGillivray learned he had coronary heart disease, he has spoken out about getting healthy and going in for heart tests, even if you think you are healthy and in shape. “Although I am fit, I’ve recently learned that doesn’t mean I’m necessarily healthy I have coronary heart disease. So it can happen to anyone,” he said. Since last fall, he has lost 27 pounds, dropped his cholesterol level by over 70 points and has been following a very, very strict and healthy diet, which he credits as having given him his health back and now feels he is in his best shape in 15 years. McGillivray actually plans to return to Kona, Hawaii in October to participate in the Ironman Triathlon World Championship for the ninth time – but his first in the past 25 years. Founded by McGillivray in 1981, DMSE Sports is a leader in sports event management, specializing in creating, marketing and producing mass participatory athletic events throughout the U.S. and abroad. In addition to the B.A.A. Boston Marathon, DMSE manages more than 25 major road races per year, including the TD Beach to Beacon in Maine, the New Balance Falmouth Road Race on Cape Cod, the Finish at the 50 at Patriot Place, Run for the Dream in Williamsburg, Va., the Bellin Run in Green Bay, Wis., the Feaster Five Thanksgiving Day Road Race and the Across the Bay 10K in Annapolis, Maryland, among others. For more info, visit www.dmsesports.com. Top image: Dave McGillivray on training run for 2014 Boston Marathon. 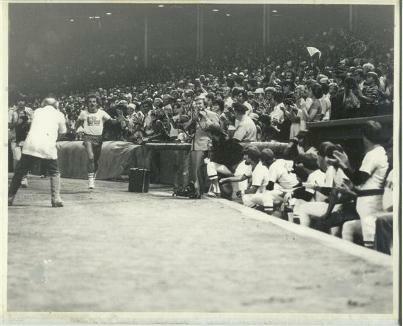 4th image: Dave McGillivray arriving at Fenway Park to a hero's welcome to cap his historic cross-country run in 1978. 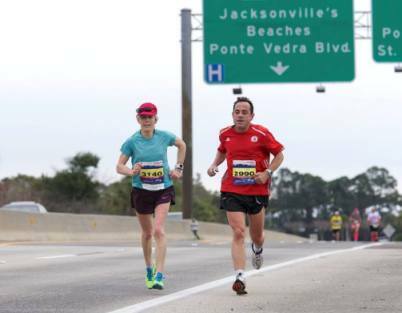 Bottom image: Dave McGillivray running alongside Joan Benoit Samuelson during a half marathon in Jacksonville in February.